“Pepper is finally coming to America.” So IEEE Spectrum editor Erico Guizzo wrote in a piece covering SoftBank Mobile Corporation’s announcement on May 19th that its humanoid robot Pepper will be introduced to North American markets later this year (Guizzo 2016). To say “finally” seems something of an overstatement: Japanese telecom Softbank and its French subsidiary Alderban Robotics unveiled the prototype only two years ago and began selling the first batch in Japan just 12 months later. Yet a calendar year may well seem like forever when product development news moves at magical speeds in digital space/time, and high-tech gear can be bought online and delivered in a no less wondrous 24-hour turn over time. So Guizzo’s “finally” should perhaps be read as a sigh of relief, an “at last,” for a product that landed on this continent in spirit, if not in body, at least a year ago. So, it is not, perhaps, too surprising that the musical My Fair Lady is called on to further the story of Pepper’s cultural transformation (Del Prado 2015). 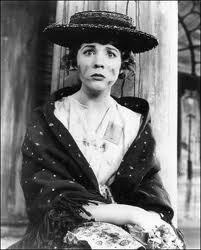 My Fair Lady tells the story of how, on a bet, professor of phonetics Henry Higgins teaches a street flower seller with a Cockney accent, Eliza Doolittle, to pass as an aristocratic lady by learning proper manners and speech. Based on a 1912 satirical play by George Bernard Shaw, the story draws on a Greek myth in which the goddess Venus brings a sculpture – the beautiful Galatea – to life after her human creator, the artist Pygmalion, falls in love with her (Kakoudaki 2014). In Shaw’s play Eliza is a willing participant in the (re)making of her social origins. Nonetheless, her metamorphosis is anything but instantaneous. Similar to Pepper’s acquisition of “American manners,” it takes months of training for her to pass her first real test. Yet Eliza’s story concerns the prospects for class mobility and individual autonomy in the highly stratified British society of the early 20th century. If the education of a 21st century humanoid social robot has anything to do with the downtrodden classes represented in My Fair Lady, which it does, it isn’t simply about the acquisition of polite manners, much less the aspirations of the working poor. Over the last few years much media attention has been given to the “rise of the robots” and the “future of work,” not least the end of the future of work in the low wage service industry. When Pepper arrives later this year as a salable commodity, SoftBank intends to focus first on service sector markets rather than private consumers (Guizzo 2016). This promotional video, with the Pepper robot equipped with software by Zora for application in hospital and retail sectors, provides some insight into the marketing strategy. SoftBank plans to rent Pepper to business customers at a cost of around US $500 per month (¥55,000 Japanese yen), or US $18,000 over the course of a mandatory three-year contract for one unit (SoftBank “Pepper for Biz”, Hamblen 2016). At that price, the labour cost savings might make the robot irresistible, as reporter Larry Dignan (2016) suggests in his story on Mastercard’s partnership with Pizza Hut in the deployment of Pepper units for fast food ordering and payment. While Mastercard’s own rhetoric disavows the historic displacement of labour through automation in the service sector, Dignan’s story implies that savings will come not only through replacing existing service workers with Pepper robots, but also through augmenting already automated services like self-serve kiosks with social robotic interfaces rather than with people. In short, machines replace living labour in the service sector. Where those machines are inadequate to the task of facilitating a satisfactory customer experience in a digitally mediated environment, more machines, machines educated and conversant in the mores of the local culture, will be brought in to enhance the effect. The scope of Softbank’s ambition for business applications can be seen in a Japan News video report from PEPPER WORLD 2016, a trade exhibition held in Tokyo earlier this year. A small army of Pepper units—hard, white plastic derivatives of the human corpus in capitalism’s “standing reserve army”—is deployed to demonstrate the machine’s capabilities in various service settings: promoting Nescafé lattes, leading exercise programs in nursing homes, selling household appliances, instructing patients in the “do’s and don’ts of taking a CT scan,” and teaching English as a second language. These scenes are at once familiar and weird. Familiar enough for conference goers, already versed in all things digital, to lean in and engage, encouraged it should be said, by the robot’s own scripted friendliness. Yet weird, a series of strange post-labour machine-meat-market scenarios, haunted in humanoid form by the ghosts of future sentient workers. Karl Marx (1993) argued that “living labour” was being increasingly “absorbed” into capitalism’s ever expanding system of machines; it was becoming a “mere living accessory” of the machinery, with its material character becoming “a mere moment of the realization process of capital.” Isn’t this what was on display at PEPPER WORLD 2016 – those round, staring camera eyes and “expressive” gestures constituting the expanding terrain of the machinery of production under capitalism? Familiar yet weird scenes of the “absorption” of living labour into fixed capital in the form of social robots, scenes that the claim to a “living wage” can’t speak to, and the fight for a “universal basic income” is unlikely to bring about soon enough, if ever, for workers caught in the transition. Luddism is not the point. Or perhaps it is the point insofar as reaction to workplace technology exposes something of the disharmonious “real world” hinted in the temporal lag between the arrival of the spirit and the coming of the body of Pepper to North America. Here we can bring into view another “real world” dimension of the event of Pepper’s arrival. While the “rise of the robots” has brought attention to the “future of work” (however much the stories are diffracted through the ideological prisms of technological progress and economic efficiency) the same can’t be said for the current conditions of work in the robot manufacturing industry. The carefully cultivated promotional narrative of Pepper’s “world” offers little if any information on the material conditions of the robot’s manufacture. While SoftBank promotes its involvement with Alderban, the fact that Pepper is exclusively manufactured by Foxconn, and that Foxconn owns a 20% share in the robot (online retailer Alibaba owns another 20%), is not featured in the narrative being promoted in North America (Tobe 2015). Foxconn, a Taiwanesse company officially known as Hon Hai Precision Industry Co., is “the world’s largest electronics manufacturing service provider. […] best known as the main assembler of Apple’s iPhone and iPad and for the harsh working conditions in its mainland Chinese factories” (Andrijasevic et al. 2016, 8). As Peter Pawlicki observes, working conditions in the electronics manufacturing industry first gained wide-spread attention in 2010 after 14 suicides and four attempted suicides at Foxconn were brought to light (Pawlicki 2016, 21). Riots at Foxconn plants in 2012 and 2013 evidenced ongoing severe problems with working conditions there (Wan 2012; Smith 2013). Pawlicki states that “[a]lthough lauded as a high-tech industry, the electronics industry in general, and one of its most prominent representatives Foxconn in particular, is characterized by inhumane working conditions: low wages, long working hours, neglect of health and safety regulations and forced labour, to name just a few […]” (2016, 21). These concerns are typically associated with brands prominent in the smartphone and computer industries. But Pepper robots for Softbank are among the other kinds of branded electronics manufactured at Foxconn facilities (van Liempt 2016, 51). Foxconn is not alone among its competitors in the way it treats workers. Moreover, as Pawlicki shows, the contract manufacturing industry does not bear sole responsibility for these conditions. Indeed, these issues stems from the problematic relationship between the electronics brand owners and the contract manufacturers — notably, the brands increase their profit margins by externalizing production costs, which the contractors cover, but it leaves the latter with “low profit margins.” Nonetheless, the collection of research papers edited by Jan Drahokoupil, Rutvica Andrijasevic and Devi Sacchetto (Drahokoupil et al. 2016) provides insight into the labour conditions and political economics of Foxconn operations not only in China but also in Europe. As the editors make clear in their introduction, the highly regimented and near captive living conditions imposed on their million strong workforce in China are among the factors contributing to Foxconn’s success there. These factors aren’t necessarily transferable to different political economic contexts but case study research in European countries shows the company doing what it can to maintain the high level of workforce “flexibility” needed to maintain profitability in a “low profit margin” situation (Andrijasevic et al. 2016). Given these study findings, the fact that Foxconn, like other manufacturers in China, is turning to robots to reduce labour costs seems unlikely to entail improved working conditions or better wages for those not fired (Chan 2015, Zuo 2016). What then are we to make of a certain snippet of Softbank-related news gleaned from Chinese sources by Frank Tobe, editor of The Robot Report? In a brief article titled “Foxconn Looking To Buy Robot Manufacturer,” Tobe notes that the most interesting thing about a China Post story from December 2015 was that Foxconn was planning a “30-person trip to the U.S. to explore purchasing companies that can help Foxconn increase Pepper production of this very complex robot” (Tobe 2016). 7,000 Pepper units had been manufactured in the seven months following launch of the product in the Japanese market, and every one had been snatched up by eager consumers. The Foxconn manufacturing plant in Yantai, China is reported to have ramped up production from five to ten units per hour, and was aiming for 15 per hour. Nonetheless more capacity seems to be needed to keep up with the plan to expand markets and increase demand. The question may not be so much whether the arrival of Pepper robot manufacturing capacity brings jobs to North America, although automation portends limitations on that score, but whether the jobs will be good ones, jobs worth working for given pay rates and conditions elsewhere in the Foxconn universe. So the spirit of Pepper has arrived, all chatty and enchanting, on the “shores” of America. Meanwhile in the disharmonious “real world” of capital’s expanding system of machines, the robot’s body is being fashioned using the blood and sweat of “living labour” and with the corollary objective of labour’s own absorption into the automaton. Far from valorizing Eliza Doolittle’s story (at least in the version originally penned by Shaw), the incarnation of Pepper depends on disavowing the working class labour that contributes to its animation. Moreover, it depends on appropriating the cultural product of a social collective in order that “speech” and “manners” can become, not just the regulators of class boundaries as in Shaw’s England, but “bearers” of value and regulators of exchange in 21st century circuits of capital realization. If the body of Pepper has not arrived yet, we could say the delay concerns, at least in part, the spiritual work that capital needs to do first. One tech reporter inadvertently understood this when she wrote, “But before it can take over the US, Pepper needs to get to know us better” (Del Prado 2015). Andrijasevic et al. 2016. “Introduction,” in Drahokoupil et al. (eds). Flexible Workforces and Low Profit Margins: Electronics Assembly Between Europe and China. Brussels, BE: European Trade Union Institute (ETUI). Chan, K. 2015 (24 Sept). “Robot revolution sweeps mainland factory floors.” China Post. Del Prado, G. M. 2015 (Sept 28). “This ’emotional’ robot is about to land on US shores — and it wants to be your friend.” Tech Insider. Dignan, L. 2016 (May 24). 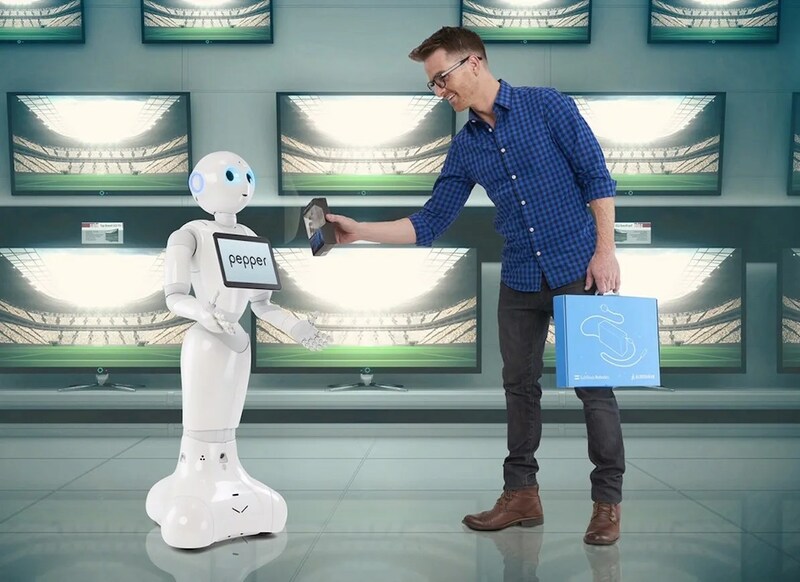 “MasterCard, Pizza Hut Asia try robotic commerce: Pepper will take your order now.” ZDNet. Drahokoupil et al. (eds). 2016. Flexible Workforces and Low Profit Margins: Electronics Assembly Between Europe and China. Brussels, BE: European Trade Union Institute (ETUI). Guizzo, E. 2016 (19 May). “SoftBank Prepares Humanoid Robot Pepper’s U.S. Debut, Releases Android SDK.” IEEE Spectrum. Hamblen, M. 2016 (24 Feb). “Pepper, a humanoid robot, will make first appearance in U.S. businesses this year.” Computerworld. Kakoudaki, D. 2014. Anatomy of a Robot: Literature, Cinema, and the Cultural Work of Artificial People. New Brunswick, NJ: Rutgers UP. Knight, W. 2015 (16 Sept). “A Japanese Robot Is Learning the American Way.” MIT Technology Review. Marx, K. 1993. Grundrisse: Foundations of the Critique of Political Economy. Translated by M. Nicolaus. London and New York: Penguin Classics. Mroczka, P. 2013. “Broadway History: The Golden Age of the American Book Broadway, Part 6 My Fair Lady.” Broadwayscene.com. Pawlicki , P. 2016. “Re-focusing and Re-shifting – The Constant Restructuring of Global Production Networks in the Electronics Industry,” in Drahokoupil et al. (eds). Flexible Workforces and Low Profit Margins: Electronics Assembly Between Europe and China. Brussels, BE: European Trade Union Institute (ETUI). Smith, D. 2013 (24 Sept). “Foxconn Riot: Largest Apple Supplier Suffers Another Violent Outbreak.” International Business Times. Tabeta, S. (2015, 01 Sept). “Hon Hai’s success with Pepper humanoid a matter of molding.” Nikkei Asian Review. Tobe, F. 2015 (19 June). “Foxconn and Alibaba invest in SoftBank Robotics as Pepper goes on sale in Japan.” The Robot Report. Tobe, F. 2016 (01 Apr). “Foxconn Looking To Buy Robot Manufacturer.” The Robot Report. Van Liemt, G. 2016. “Hon Hai/Foxconn: Which Way Forward?” in Drahokoupil et al. (eds). Flexible Workforces and Low Profit Margins: Electronics Assembly Between Europe and China. Brussels, BE: European Trade Union Institute (ETUI). Wan, W. 2012 (25 Sept). “Foxconn riot in China unlikely to be the last, experts say.” The Washington Post. Zuo, M. 2016 (22 May). “Rise of the robots: 60,000 workers culled from just one factory as China’s struggling electronics hub turns to artificial intelligence.” South China Morning Post. Cyborg Futures Workshop. Join Us!